Kodi with his prayer blanket! Happy National Dog Day 2016, y’all! This is our Siberian Husky, Kodi. He’ll be 11 years old in November. We’ve had him 10 of those years on September 1. 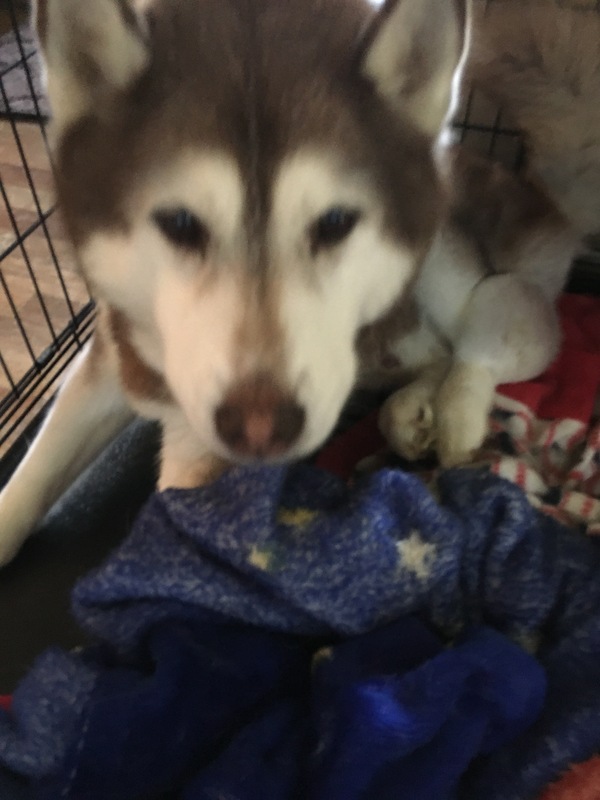 We rescued him from Siberian Husky Assist Rescue, located out of Bristol, TN. I lovingly call him my Google puppy. 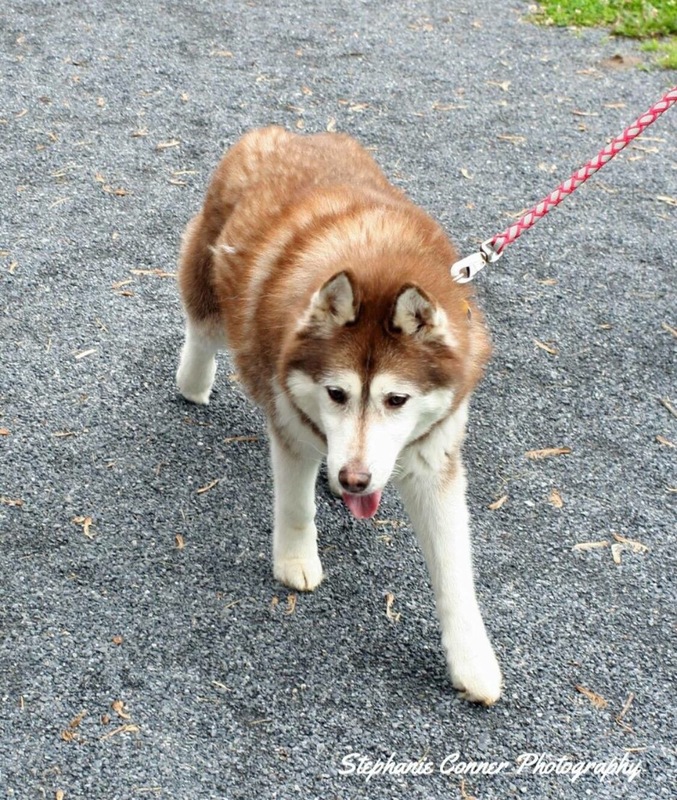 On a whim, I searched for husky rescues located in or near my area of Virginia. 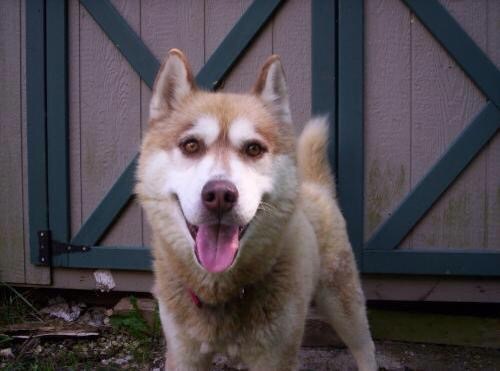 SHAR immediately popped up and this guy was listed as up for adoption! I mean, how could I resist? We submitted our adoption application, had our home visit, and the rest was history! The older puppy stage was a very, how do I say it… “active” time for us. Lol! Kodi had that puppy energy for sure! He ate part of a mini fridge, including a half gallon of milk, pound of lunch meat, and a whole package of cheese with wrappers. He also very much enjoyed rice cakes and was an apparent pro at counter surfing. One time, he placed apple cinnamon rice cakes throughout the house, including a whole one inside my pillowcase. I did not know there was one inside there until he kept coming up to me and sticking his nose at the pillow. He was quite pushy about it! Four months after we opened our home and hearts to him, we fostered adopted Kiara. They were together until Kiara passed away last year due to hemangiosarcoma. She was my BABY. My beautiful baby, Kiara,on the morning she left he earth because of cancer. He was diagnosed on the same day in 2014 as Kiara with a soft tissue sarcoma. 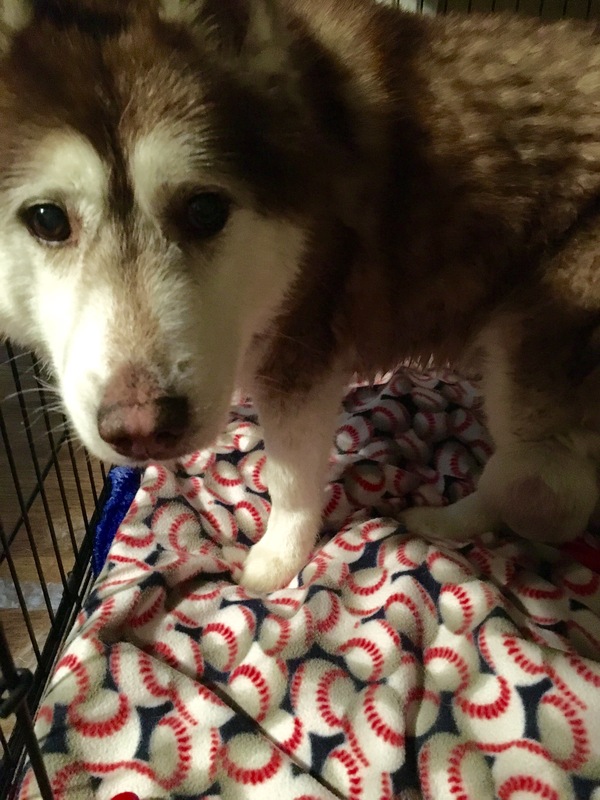 He has a very large tumor on his hind leg that is running the risk of rupturing. It’s a “contained cancer” as we were told a couple years back. We could amputate his leg and the problem would be solved. 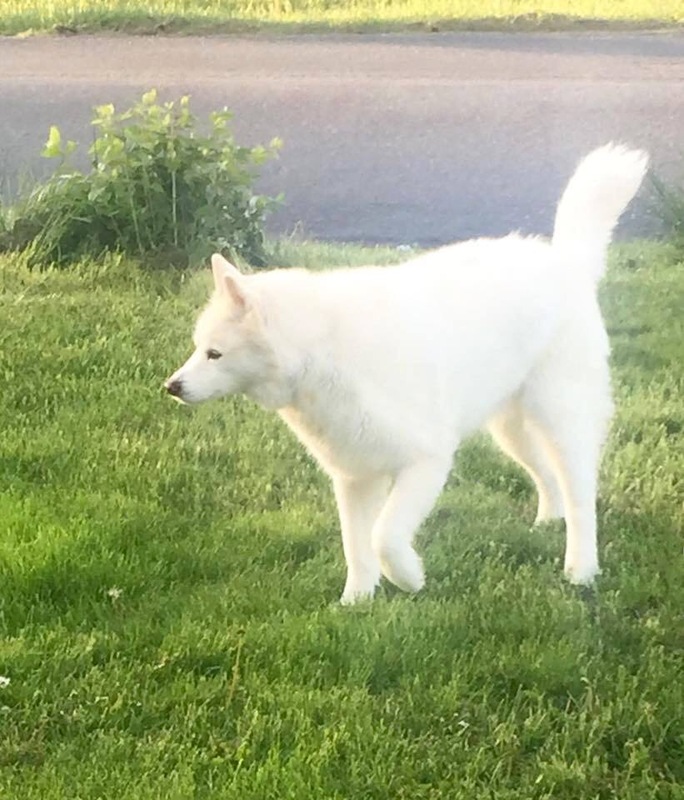 Kodi also has a spinal condition called Cauda Equina. This condition compresses the lower part of his spine, which results in physical and neurological issues. He slips quite a bit now, which could be attributed to both illnesses honestly. Getting up is hard for him. I’ve had to physically pull him up at times. He usually just allows himself to fall in order to lie down. He has major issues with his bladder and bowels. He can go outside, do nothing, come inside and… You can figure it out. We do have potty pads that he tries to aim for. He just physically doesn’t know when to go. Point being, we didn’t want to subject him to added physical stress on his spine from losing a leg in combination with Cauda Equina. I gave him a bath yesterday. It was likely his last bath. This brought back all the emotion of when Kiara was at the end of her time on earth with us. He didn’t stand a lot of the time. Getting traction was too hard. At one point, he actually had a BM in the tub. I didn’t know it until my foot touched it, which scared me to pieces! I honestly think he still doesn’t know it happened. I’ve called and scheduled an appointment at our vet for next Saturday at 11:45 for what the receptionist called a “quality of life” examination. This is a nice, respectable, professional way of putting it. His appointment is with the same doctor who helped Kiara. She’ll be very honest with us. If she feels that it’s time, we’ll say goodbye to our first dog, our first pet, our first furbaby as a married couple. If she feels that he has some time left, he’ll come home and continue to be loved and cared for just as he’s always been. I broke the news to our 4 year old this morning. Yes, I talked to him about it. Children understand far more than we give them credit for. I told Kavan that Kodi would be going to the doctor next Saturday. His face sunk. “Is the doctor going to die Kodi? No!” So, we talked about it. I put it in the best terms I could for him. I haven’t told Keelyn (almost 7) yet. Not before school. We’ve talked about it before and it affects her on a deeper level. We’ll talk this weekend. It’s not easy. Is it ever? I doubt it. He still eats, still RUNS when he’s taken out. It’s the other times, the hard times, that are coming more frequently now. He’s hurting. He doesn’t show it all the time, but I think he’s starting to feel pain. He sleeps more and withdraws much more now (though he’s always been a bit of a loner). He hasn’t howled or talked since the night before Kiara left us. Their last woos were together. 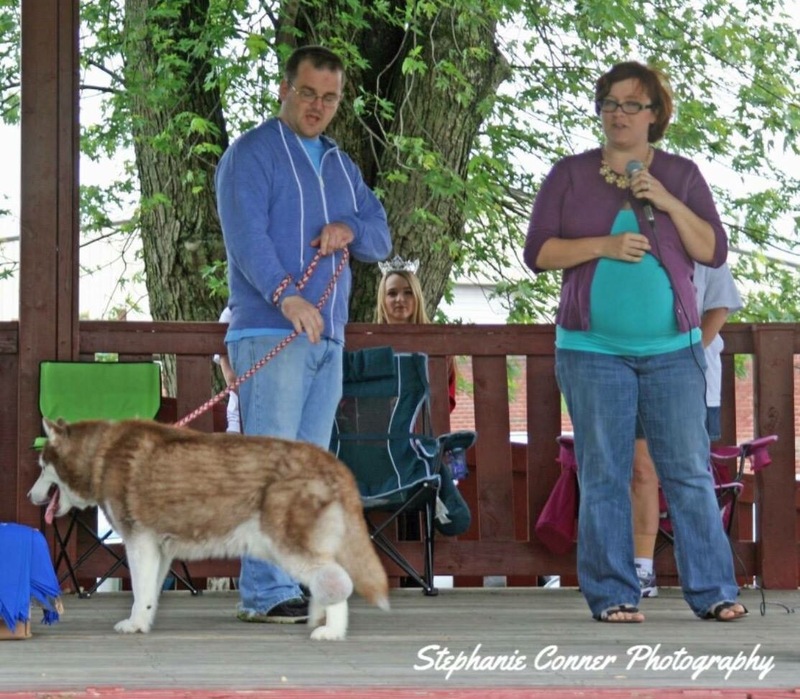 Here are a couple pictures from where Kodi was a guest of honor at the Smyth County Bark for Life. We were able to bring awareness to and education of canine cancer to others! Rockstar Kodi serving as an advocate to bring awareness to canine cancer at the Smyth County Bark for Life event May 2016! Here he is at home, just yesterday! I had to help him up… Look at those sad eyes. Kodi , hanging out in his kennel. So, some find it silly… But be in prayer for us as we encounter yet another life change. Pray for peace and discernment for us as we meet with his veterinarian next week. Pray for the kids, that they have understanding of what is going on and that they are able to remember all the fun times we’ve had with our Kodi-O! Okay, all the times he’s stolen their food… He’s a food bandit! 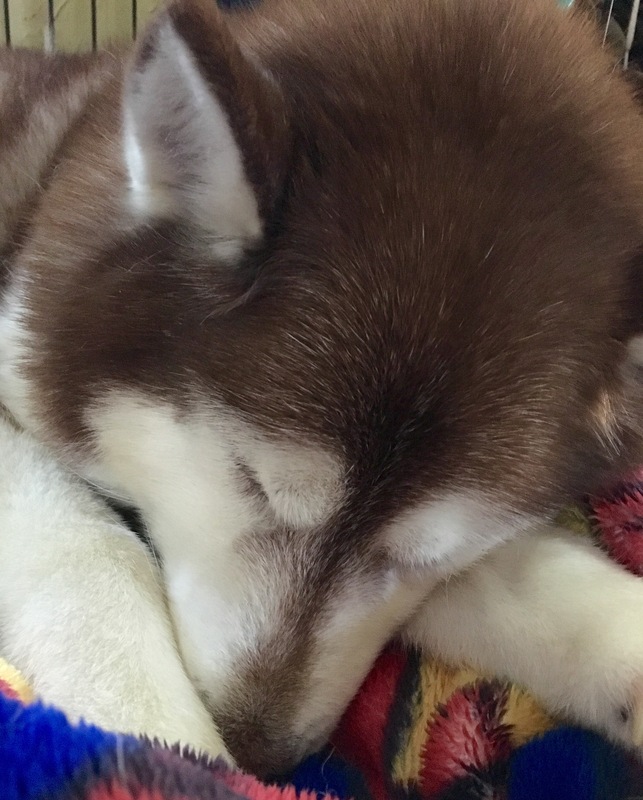 Still, we love our Kodi aka Kodiak, Kodiak Beauregard, Kodi-O, Boo Boo, Boo Boo Bear, Bubba, Bubby, Ko Ko and will do so for all the days he has left with us. He’ll live on forever in our hearts.